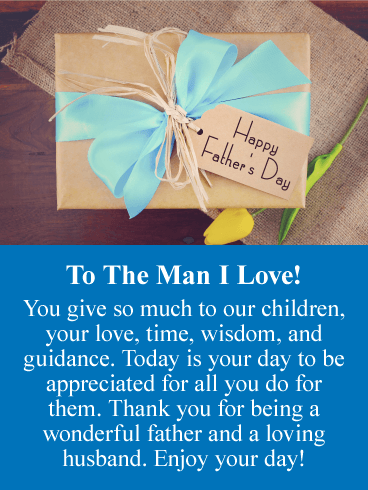 To The Man I Love! You give so much to our children, your love, time, wisdom, and guidance. Today is your day to be appreciated for all you do for them. Thank you for being a wonderful father and a loving husband. Enjoy your day! Tough but gentle, strong and kind. Father's are a special breed of man. 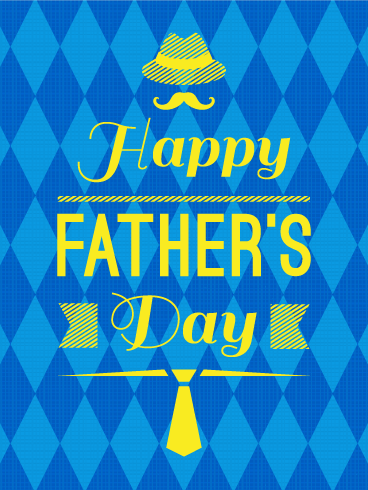 Celebrate your amazing dad with this heartfelt Father's Day greeting card from son today. The Father's Day card sets a familiar scene-father and son fishing side by side. In those moments, magic happened and lessons were learned that were never forgotten. An outdoor Father's Day greeting card to remind your dad about everything you love best and appreciate about him. What dad doesn't like fly fishing? 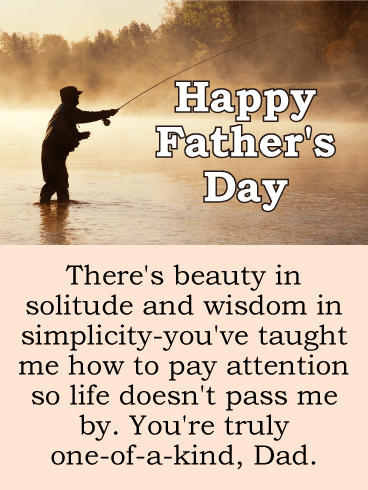 This beautiful sport is one of solitude, reflection, and patience so it is truly the perfect symbol for a Father's Day greeting card. 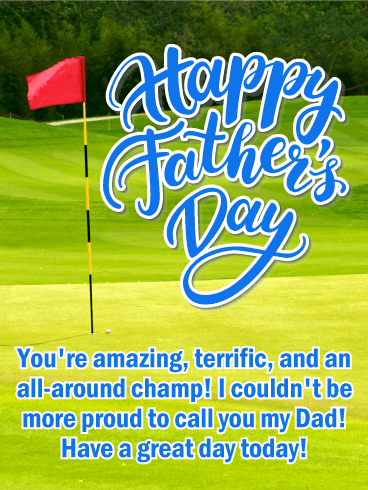 Wish your dad a very happy Father's Day with this thoughtful and sincere Father's Day card. 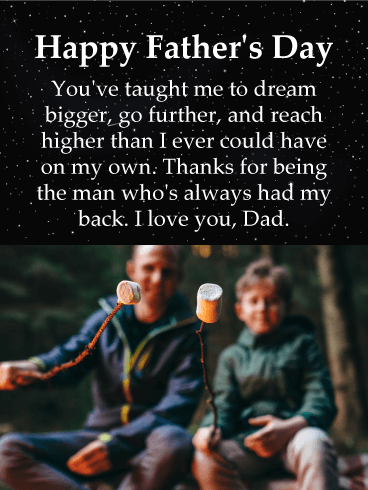 Father's Day greeting cards offer a moment to reflect on the amazing lessons your dad taught you over the years by simply being himself. A Father's Day card for a classy guy! Is your dad always on par? Maybe it's his great fashion sense or his hilarious sense of humor! Whatever it is, your dad is the best at it! 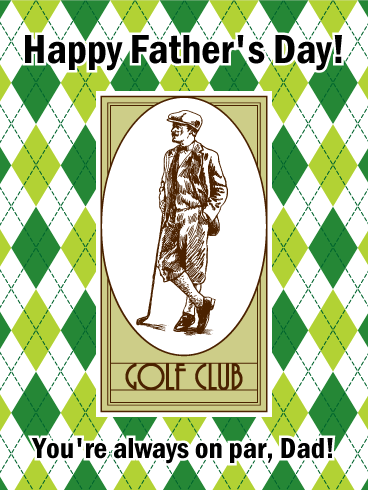 This vintage golf Father's Day card is sleek and fun. 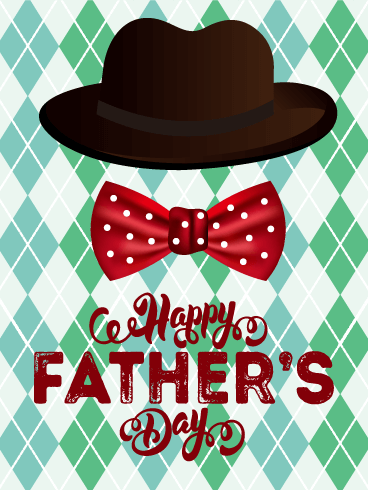 Put more argyle into your dad's life and send this stunning Father's Day greeting card today! Exploration and adventure are the staples of father-son relationships. 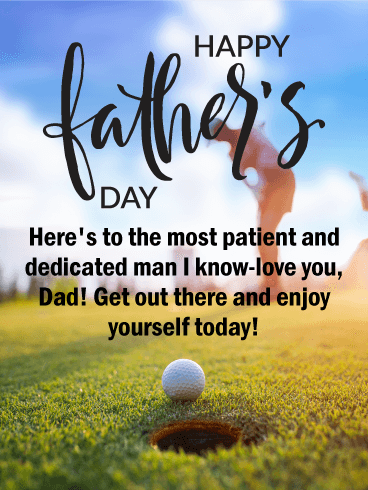 Celebrate your dear old dad, the wild man, the rugged hero who has been your best friend and partner in crime for so many years. 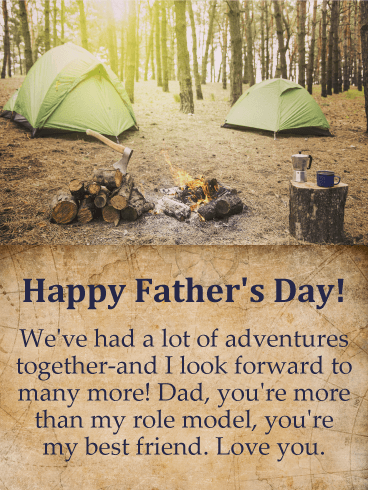 The campsite on this Father's Day card reminds your dad of all the good times you've spent side by side exploring together-may there be many more adventures to come! 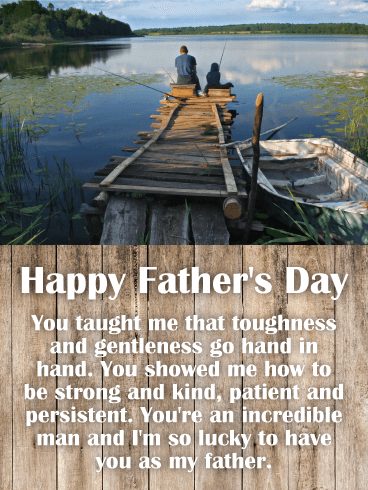 Send a wilderness Father's Day card to your courageous dad this Father's Day! Stargazing, fire building, bushwhacking-what else has your dad taught you? 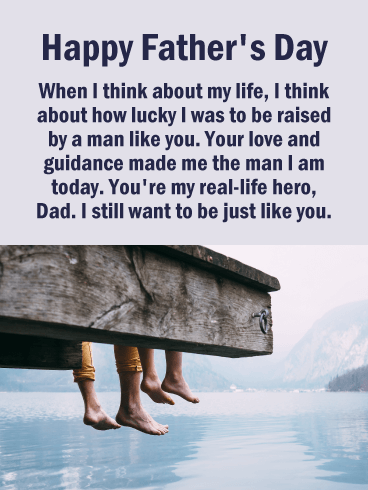 Your father has been your greatest support and biggest fan, so send him this rugged Father's Day greeting card to let him know how thankful you are for his life and love. 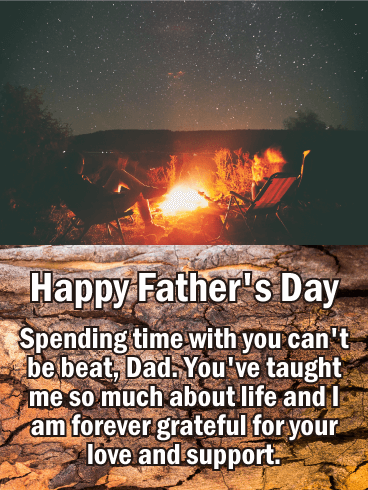 The great outdoors are calling and this Father's Day card is the perfect way to celebrate the man who's helped you blaze your own trail through life. Father and son fun times are always the most cherished of memories. This Father's Day card reflects the beauty and solitude of time spent in nature. 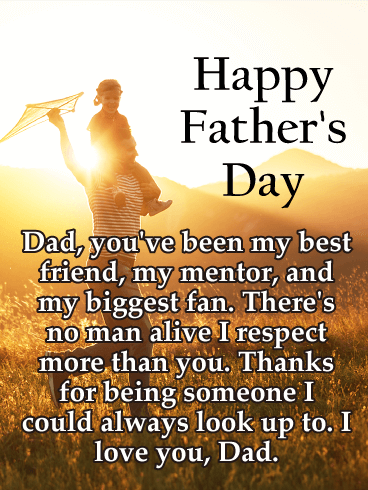 Send your dad a super thoughtful Father's Day greeting card this year, and thank him for always being a man you could look up to and respect.